Anotherrace have completed their awesome new E.P entitled PROCESSOR!! It will be out in a matter of weeks through Sony/Liberation and includes 5 tracks (1 remix) and two video clips on CD ROM!! Anotherrace have just signed a three year international publishing contract with Mushroom Music! The Anotherrace filmclip for FALLDOWN is now appearing on Channel [V] and Rage, so keep your eyes open for it and start requesting! Anotherrace shot their filmclip on SUNDAY APRIL 2ND at the old Bulleen Drive-In (49 GREENAWAY STREET BULLEEN). The day was an enormous success and a massive thanks goes out to all of you who made it down there to be in the clip! There's been heaps exciting new things happening in the Biscuit camp over the past few weeks. Those of you who have been to any live gigs lately, or received the Biscuit mailout will be aware of Biscuit's name change to ANOTHERRACE. The band have been kept extremely busy preparing for the launch of Anotherrace as well as having big talks with various record companies around town. On January 10th, 2000, Anotherrace will be recording three new tracks and will hopefully be releasing their debut full length album along with a film clip early in the new year so keep your eyes and ears open for more details on that soon!! Biscuit have finished recording their new album, so be on the look out for it - and keep checking back here for launch details and track listings, etc! Biscuit are currently in the middle of recording their first full-length album!! Been a while coming? You bet, but it'll be worth the wait. Everything's sounding wicked, and soundfiles will be coming your way soon - once the songs are mixed etc - so STAY TUNED!! 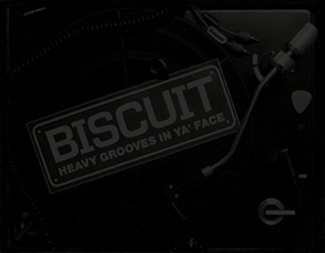 On April 11, Biscuit are heading to Metropolis for a day of tracking!! Be on the look out for new songs at all the up-coming gigs! In other news, Biscuit have lately been stirring up a lot of record company interest, which is awesome - not to mention well deserved! Biscuit have just tracked a new song called "I.Q" as part of a promotional package, and it sounds AWESOME!! It's been generating a fair amount of interest so far, which is fantastic. All the band's new stuff is amazing, so keep your eye out and your ear to the ground - you'll probably hear quite a bit of the new stuff at Biscuit's gigs! BISCUIT ARE READY AND WAITING TO ROCK OUT AT THE WARPED FESTIVAL!! Biscuit have been added to the VansWarped bill for the Melbourne - Flemington Racecourse (Sat 16th Jan) show. They'll be joining a HUUGE line-up of bands including Bad Religion, Pennywise, the Deftones, Grinspoon, Cherry Poppin' Daddies and all the rest! (Check the Warped site for a comprehensive line-up listing, or check out the Gig Guide for a shortened version!) It'll definitely be a show NOT TO MISS so get along to Warped and support the boys!!! On the December 19th, Biscuit headed over to Adelaide to play a few shows with the Testeagles. Everything went really well - the guys ripped up SA and had a heaps good time along the way! Biscuit have just completed a video clip for their song 6.9. Some scenes for the clip were filmed at Wesz's house (but sadly weren't used), and more footage was taken during the band's set at Pushover. So keep your eyes open and look out for Biscuit's video on rage or channel V sometime in the near future! AND START REQUESTING!! Biscuit are hoping to get back into the studios early next year to record their next EP. You may have been lucky enough to hear some of the new stuff live, if not, get along to a show soon, and keep checking back here for updates on the new CD. Biscuit recently toured the East Coast with The Testeagles and Henry's Anger. If you're from interstate - hope you caught the boys in action....if not you missed out because all their shows kicked arse! And remember to ask for your free Biscuit sticker upon purchase!